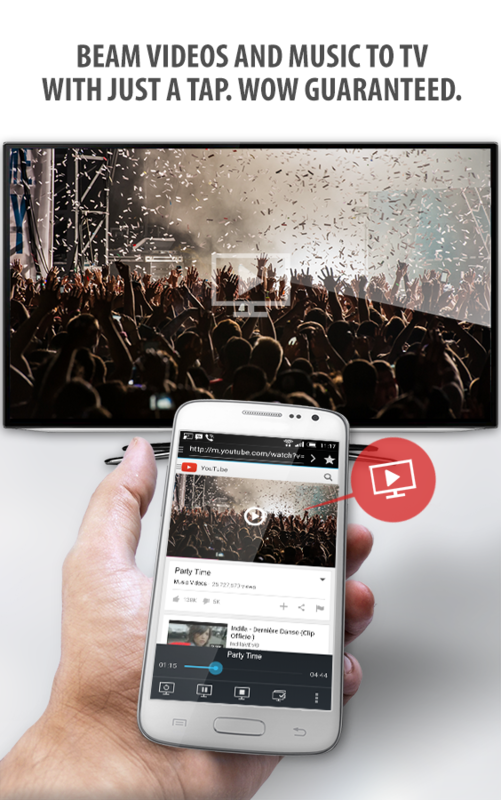 Tubio is a really interesting app to cast web videos and music from your phone or tablet to your TV wirelessly and for FREE. Use Tubio as your TV remote to control the stream – play, pause, stop or seek. You can also adjust volume using the hardware buttons of your Android device. Now you can enjoy videos from YouTube, Vimeo, Facebook, music from Soundcloud, Mixcloud etc. straight on your TV with just a tap. And what’s more, you can also bookmark other websites you like for a quick access every time you enter the app.